Putnam County posted the best real estate results since the post-recession recovery in 2016. The four county Hudson Gateway Multiple Listing Service reported last week Putnam home sales increased by 19.5 percent during the year gone by, besting Rock… Please login below or purchase a subscription to the Putnam County Courier to access this content. 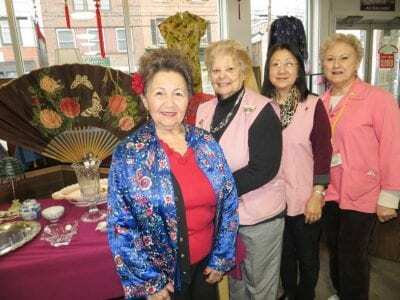 Volunteers at the Eagle Eye include Edith Hyatt, Rosemary Silvestro, Etsuko Reinhardt and Joyce Palattella. The Eagle Eye Thrift Shop is an amazing place! Located at 65 Main Street adjacent to the former Cameo Theater in Brewster, the shop, which ben… Please login below or purchase a subscription to the Putnam County Courier to access this content. 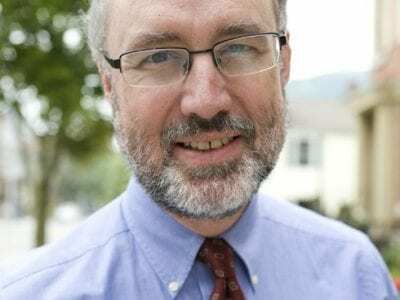 Residents of the greater Carmel-Mahopac area living on a halfacre of land may soon be permitted to raise chickens on their property under an amendment to the town’s code that has received a positive recommendation from the town’s Plannin… Please login below or purchase a subscription to the Putnam County Courier to access this content. Chief Dave DiRienzo is Carmel FD’s youngest Chief. 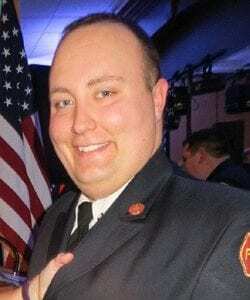 One of Putnam County’s youngest fire chiefs took his oath of office Saturday evening to lead the Carmel Fire Department during its 102nd year of service. Dave DiRienzo, 32, recalled the days wh… Please login below or purchase a subscription to the Putnam County Courier to access this content. In last week’s Courier, a photo accompanied an article commending the efforts of the Putnam Drug Court. The photo’s caption read: “Seven gradates of the Drug Treatment Court are congratulated by Judge Reitz.” In addition to t… Please login below or purchase a subscription to the Putnam County Courier to access this content. Last week, for the first time, we changed the publication day of the Courier, moving our press run ahead by two full days to Monday night instead of Wednesday night. The shift means that the Courier will be available on newsstands beginning on… Please login below or purchase a subscription to the Putnam County Courier to access this content. Putnam Commissioner of Emergency Services Tony Sutton applauded state lawmakers Saturday for expanding New York’s ‘Move Over’ Law to protect volunteer firefighters and EMS personnel. Under the regulation signed by Gov. Andrew Cuomo… Please login below or purchase a subscription to the Putnam County Courier to access this content. Carmel officials are concerned that deicing devices known as bubblers which keep private docks free of ice are creating a hazardous condition on Lake Mahopac. Supervisor Kenneth Schmitt said while the town doesn’t want to ban the use of the de… Please login below or purchase a subscription to the Putnam County Courier to access this content. Hours after Donald Trump took his oath of office becoming the 45th President of the United States, reaction in and around Putnam County was mixed regarding the President’s address. Former Gov. and Garrison resident George Pataki, who often dis… Please login below or purchase a subscription to the Putnam County Courier to access this content.